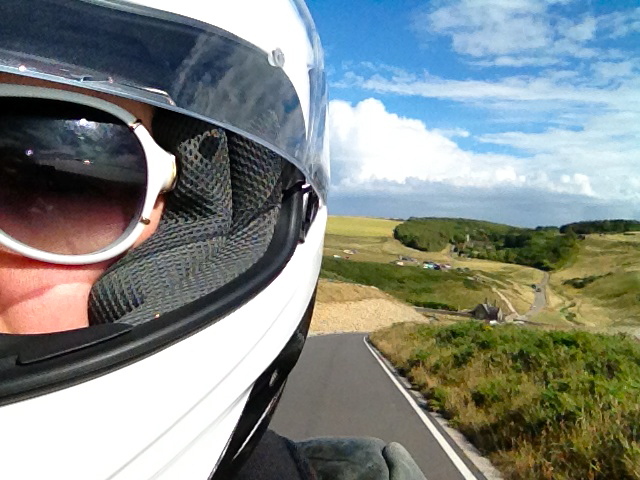 When I got my motorcycle license back in 2013, it started to change pretty dramatically my interaction with Britain and my attitude toward living here. I carry some entrenched (and possibly unresolvable) bitterness toward Wales, but owning a motorcycle has helped soften that. Because it means not being stuck in the same place, seeing the same things. I particularly love when Jenn comes with me somewhere. This doesn't happen too often, because a) it's not terribly interesting to just sit on the back of the bike when I'm riding without any specific destination in mind; b) Jenn seems to get cold easily; c) Jenn is not the sort of person who enjoys sitting still –– even a 100-mile car journey will make her restless. But when we do go places I always enjoy it. 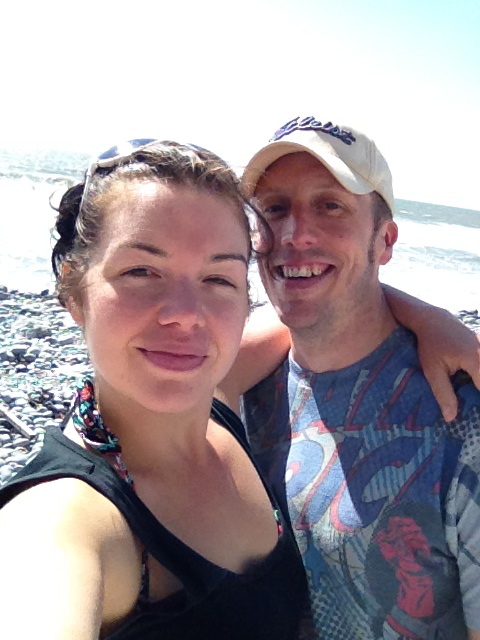 On 3 August 2013, we were enjoying an unusually hot summer in Britain, so Jenn and I hopped on my Honda and rode to Southerndown, about 20 miles away. We spent the afternoon swimming in the sea, playing in the waves, and it was one of the best summer days I had to that point ever had in the UK. I love “even a 100 mile journey”. Yeah, that sounds quite far to me; you crazy Americans!